The new owners of the long established Casa Grande Restorante were investing in major upgrades including a wood-fired oven, an expansive wraparound bar and an elegant solarium. With all the changes, it became obvious that a major new brand was required. 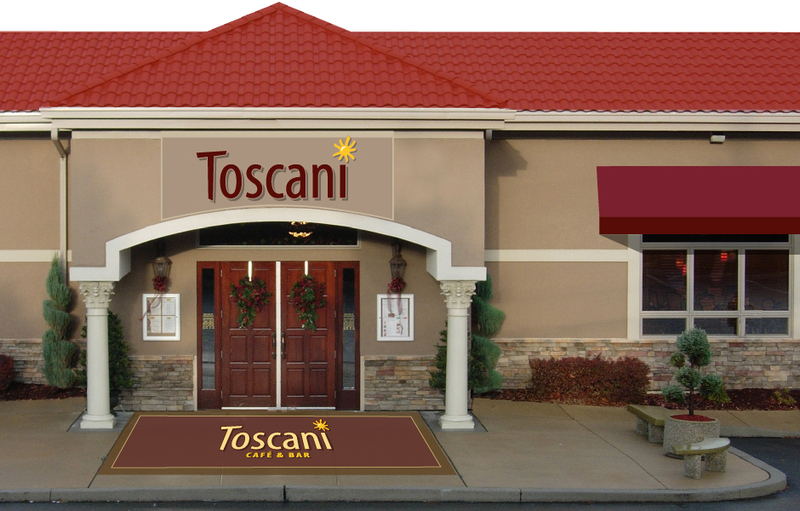 CrossRoads Studios helped clarify and strengthen the restaurant’s message with the development of the Toscani Café & Bar brand identity. Working with Toscani’s team, CrossRoads Studios maximized the warm, sunny Tuscan theme on all levels of the visual experience. To create a bold, warm and friendly invitation to enter, curb appeal was dramatically enhanced with brand color coordinated awnings and eye-catching graphics. Once inside, the experience was further enhanced with coordinated staff uniforms, easy-to-read menus and exciting incentive programs. 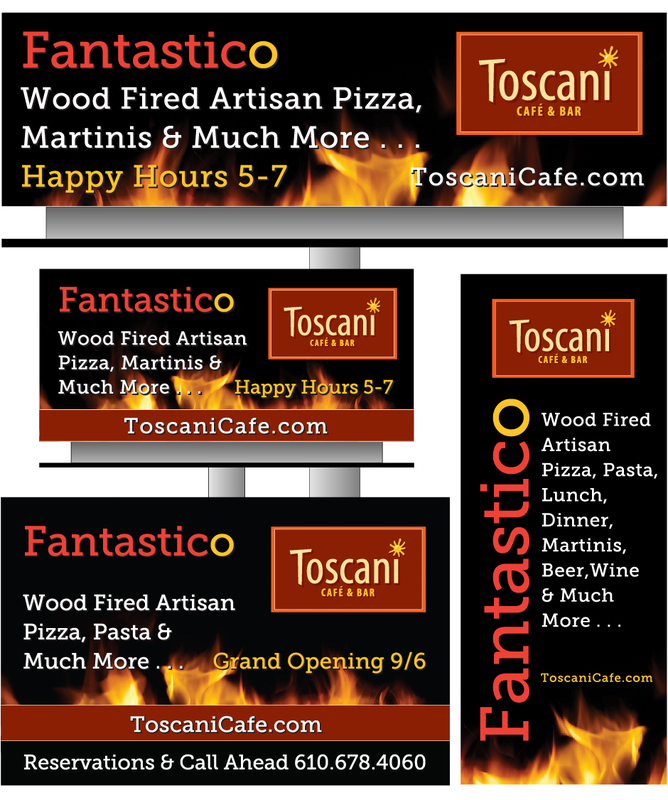 CrossRoads Studios created their marketing campaigns, including the introductory “Fantastico!” theme to encapsulate the promise of a fantastic Toscani experience for all. To generate buzz and set the table for the grand opening, CrossRoads Studios created a series of progressive front-page newspaper “teaser” ads. The campaign encompassed web, billboards, posters, informative table cards and more. 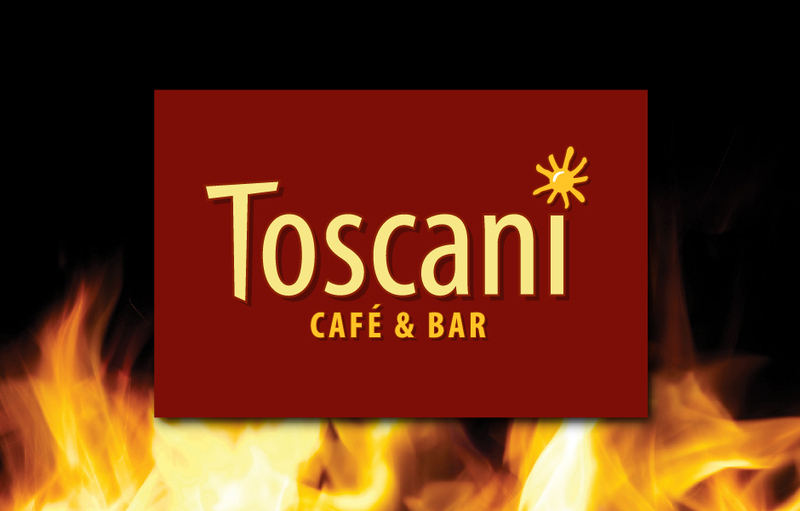 Toscani Café & Bar, a little taste of Tuscany.